Show your love for OSU. 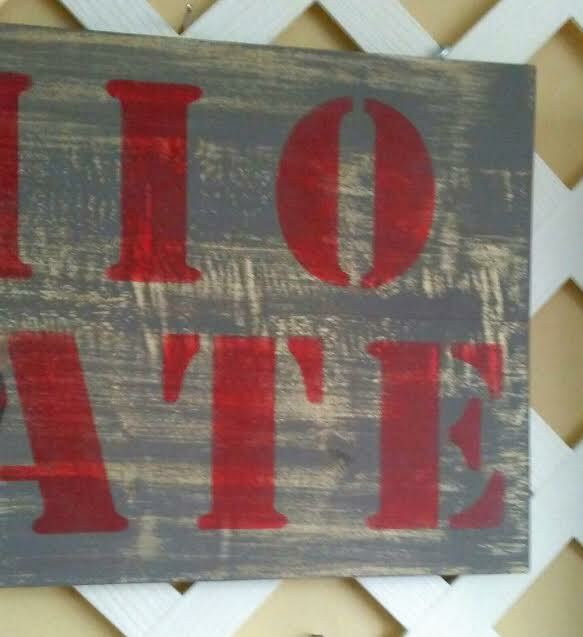 Hand painted wood sign in gray and red with "OHIO STATE" stenciled on the wood. 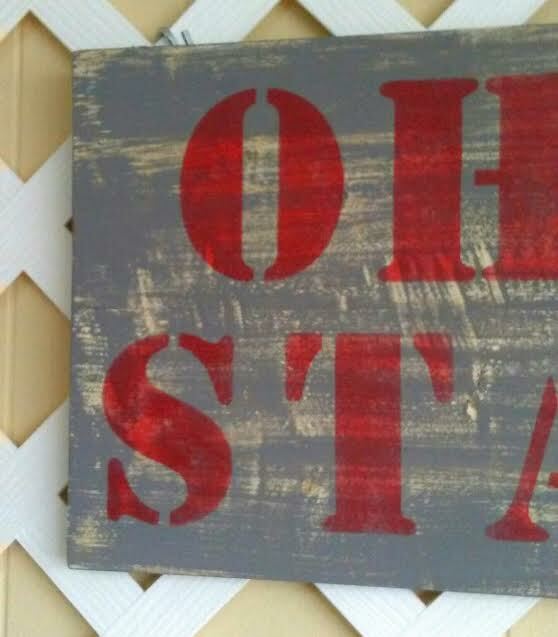 Shabby Ohio State sign in a farmhouse style is great for rustic decorating. 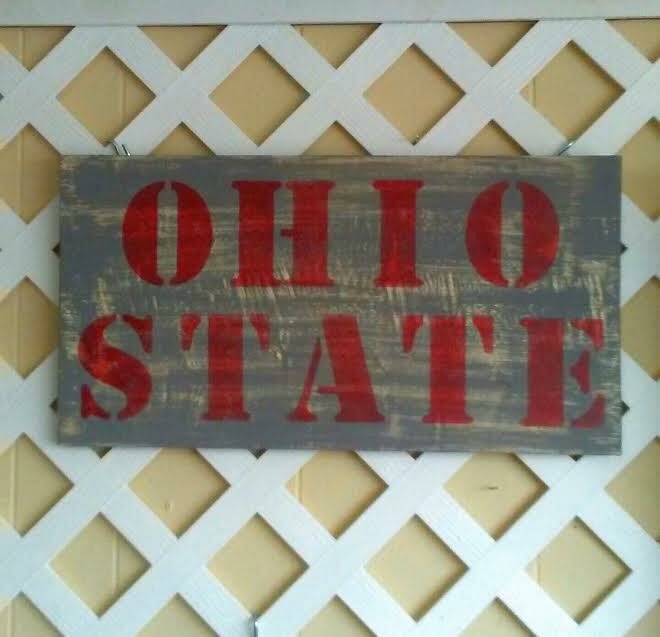 This Ohio State wall hanging is hand painted in medium gray and red Sherwin Williams Pro Classic paint for a durable finish. Makes a great gift for the Ohio State University fan. Solid pine. Measures 21"w by 11"h.